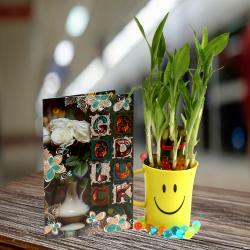 Fresh Flowers can any day change your mood and make you feel better. 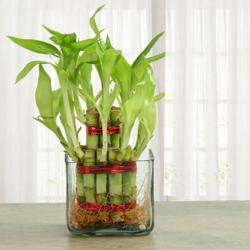 A color of green in your home gives that genuinely necessary warmth of nature to your life. 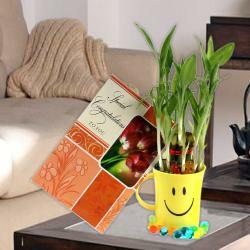 Send fresh flower bouquet online to your friends and family from Giftacrossindia.com and fill their heart with joy cheerful and special. 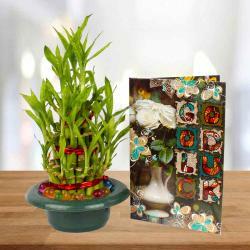 We have a luxurious collections of an assortment of colors of flowers like Roses, Carnations, Lilies, Orchids, Gerberas and good luck plants to browse. 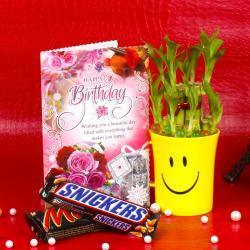 These flowers can be sent in a flower basket to give a attractive look. 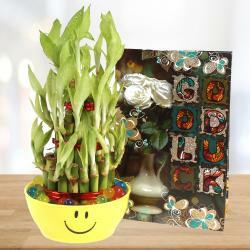 Good Luck Plant are image of good fortunes. 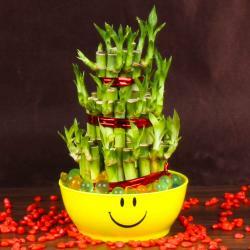 Its is believed that wherever bamboo is set, favorable luck is certain to take after. 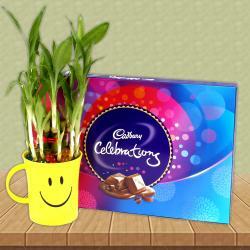 Its a conventional image of bliss, riches and well being. 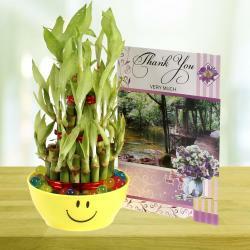 Keeping Good Luck Plant inside houses and around work place is accepted to bring satisfaction and flourishing. 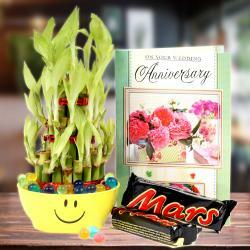 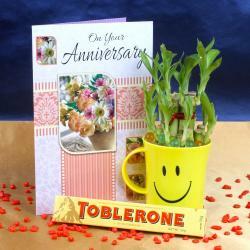 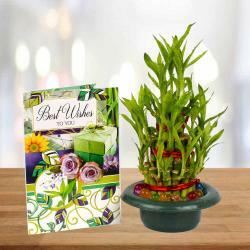 Send Good Luck Plant with chocolates or greeting card to your dear ones to wish them luck in any special event. 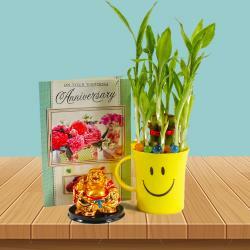 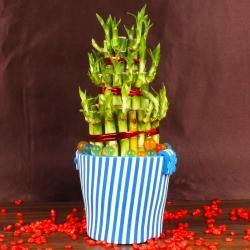 Order Hampers thats specially arranged for Good Luck wishes from Giftacrossindia.com. 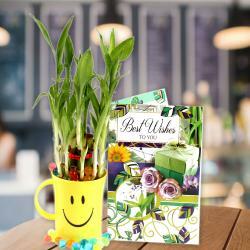 Wish good luck and success with this hamper to your family and friends. 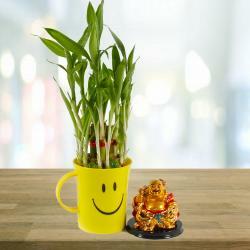 Also you can send Specially clubbed combo with Good Luck Plant and Laughing Buddha. 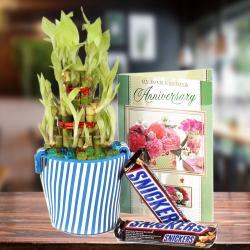 If your friend’s birthday is around the conner, then send this Good luck plant with a birthday greeting card. 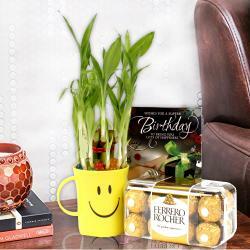 Good Luck plants have grabbed on its prevalence as the best gift to give someone on any special occasion. 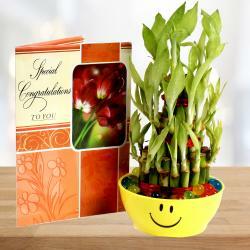 They look very elegant and appealing. 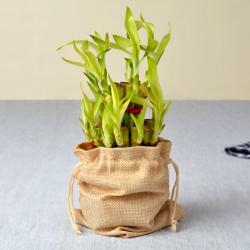 These plants are skilled in vases or arrangements of appealing outlines. 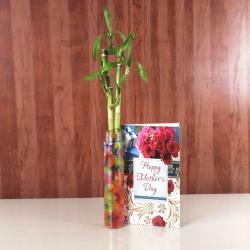 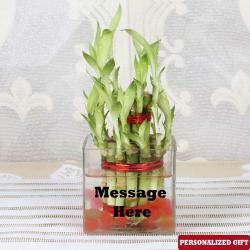 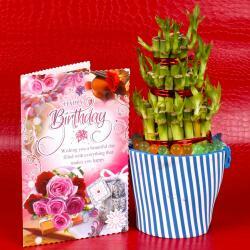 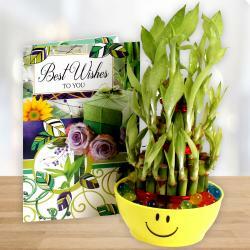 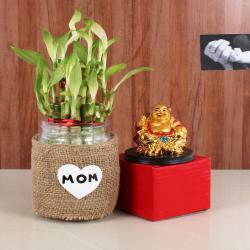 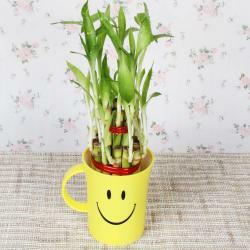 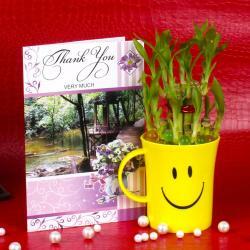 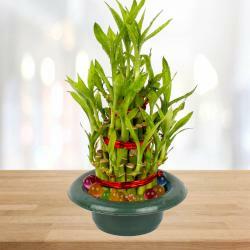 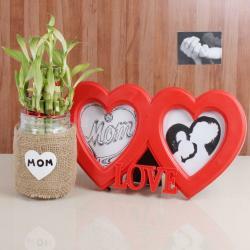 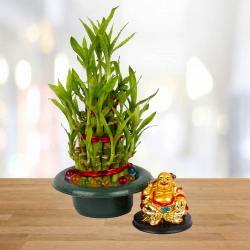 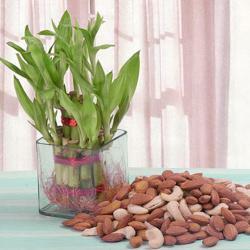 Good Luck plants are available in single layer, twofold layer and three layers etc at Giftacrossindia. 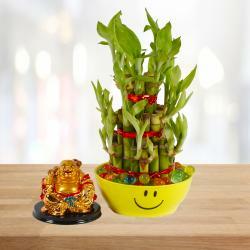 These plants are meant for good fortunes. 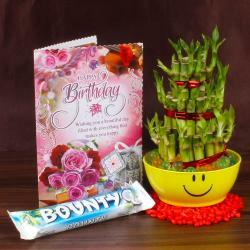 Henceforth it makes for an impeccable gift on birthday or friendship day.